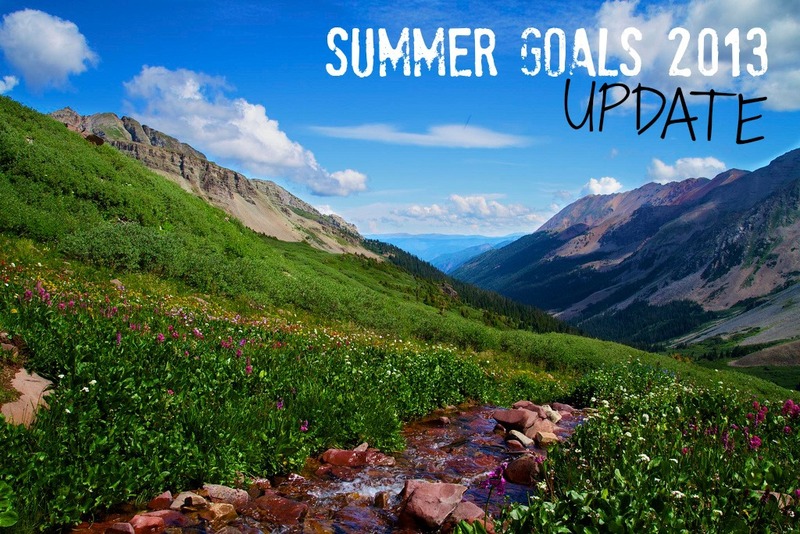 At the beginning of the summer, I set a few goals for myself. Let's see how I did. Study wildflowers with Lil O - We studied flowers all summer long. We learned many names, checked out books on wildflowers, sought out wildflower hikes and sketched a few. I now don't feel like a complete wildflower novice. Build my online special education class that is slated to run in the fall - This course is 90% ready to go. I still need to create a few more module assessments before it goes live in October. Mountain bike and road bike more than I did last summer (and proudly wear my UE jersey) - I think Mr. UpCyclist wore his jersey much more than I did. I did do a fair share of running and hiking. But, riding...not as much. Have four separate Yes Days - one for Lil O, Mr. UpCyclist, Puppy Jedi and myself - Since the entire summer felt like a Yes Day to me, only Lil O "needed" her Yes Day. Trail run to the neighborhood lake three times (last summer, I just did this once) - Yay, I did it! Check Instagram for proof here, here, and here. Plus, I'm not bragging, but I actually ran the trail seven times. Woot! Make time for yoga, reading and just being - and not doing - I absolutely made time for yoga, reading and just being. I think that is one of the reasons why the whole summer felt like a Yes Day. Create string art like this - Totally! This blog post details the entire string art endeavor. It really is one of my all-time favorite projects. This summer, I did more reflecting and creating than I have in the past. Such fuel for my soul.